Managing your students is hard work. 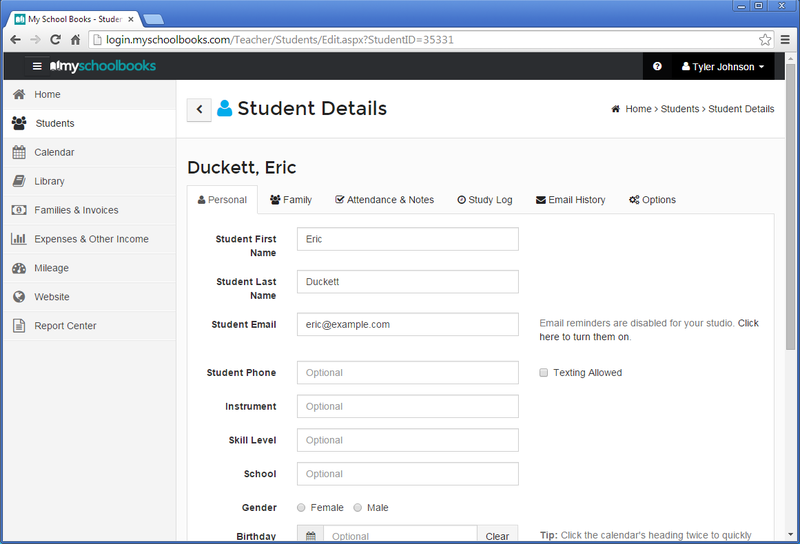 My School Books makes it easier by letting you track all your student information in one central place. 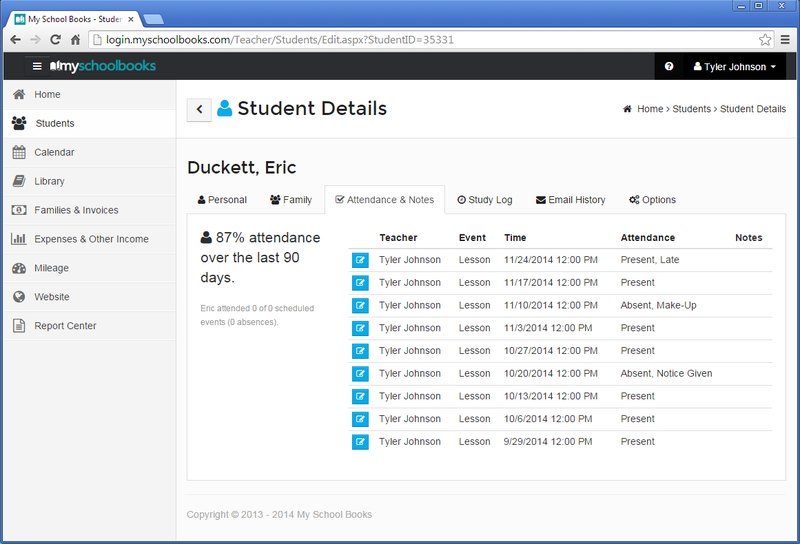 With My School Books you can store your student contact info, lesson notes, attendance, study time, and more. The student profiles that you create contain a variety of useful information, such as lesson length and default lesson prices. If you use My School Books for scheduling lessons, it can combine the student information with attendance to create accurate invoices when you need them. To make life even easier, My School Books has the ability to create and assign students to Groups. Students can belong to one or multiple groups at any given time. Simply create a group, add the students you want, you can even add other groups to groups. This is a huge time saver when emailing students, assigning lending material, creating new events, generating reports and so on. My School Books takes the pain out of importing student information. 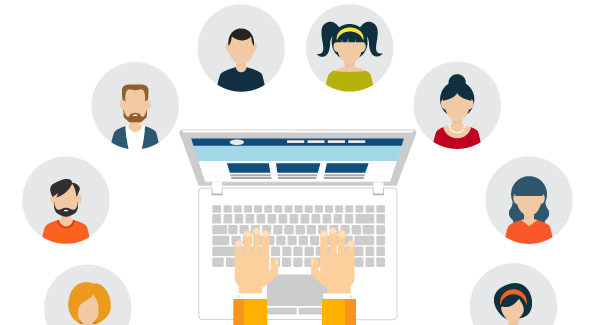 Simply copy and paste your student list, including all contact information you have from your favorite spreadsheet application, such as Microsoft Excel or Numbers, and My School Books will do all the heavy lifting. Importing student data couldn’t be easier. Text message reminders are a great way to notify students and parents of upcoming lessons & events right on their mobile phones. With My School Books you can even send SMS reminders at a different interval than your regular email reminders. For example, you can send email reminders 24 hours in advance, and SMS reminders 2 hours in advance. My School Books even allows the flexibility of enabling SMS text messages on a category by category basis. My School Books makes it easy to send mass emails to all of your students and parents. The days of typing in all your student names are gone; in just a few clicks you can send an email to everyone. 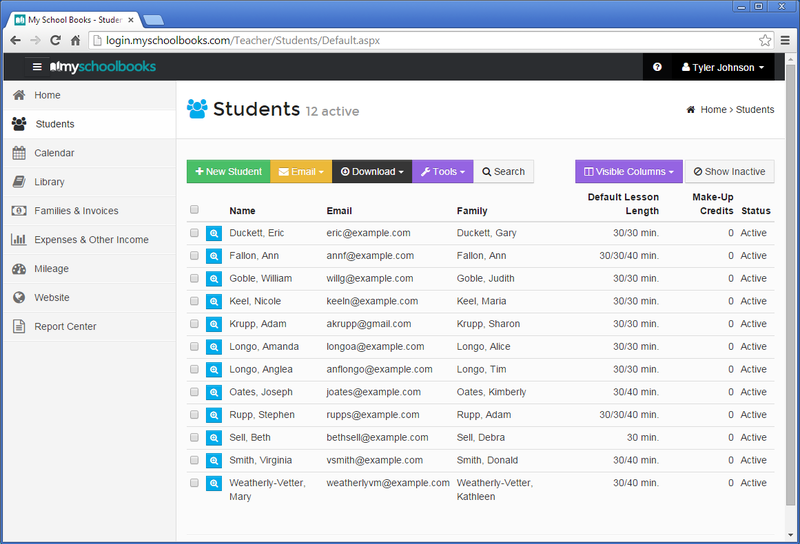 My School Books is made for modern families, so each family can have multiple parents, email addresses, and contact information. It’s never been easier to keep everyone in the loop. The email history feature lets you keep track of outgoing emails too, so you can always check if you sent that notification (or invoice)! The custom email template feature in My School Books is a great way to communicate your message, your way and is great for emails that need to be sent periodically to students, such as a “Welcome” emails for new students. Simply add your content and save for reuse over and over again. There is even a handy list of dynamic “placeholder” text such as Recipient First Name, School Name, Today’s Date and more available for you to insert wherever you choose.